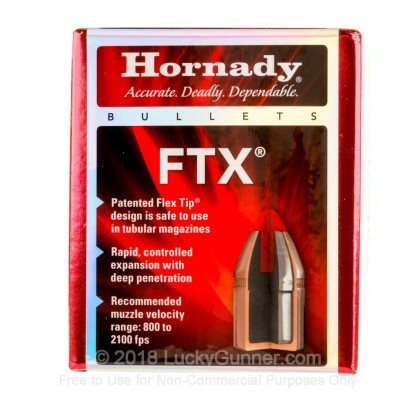 Hornady's FTX projectiles are not only safe for tube magazine storage on the underside of lever-action rifles but exhibit some of the best terminal ballistics available for both hunting or defense on the farm or at a camp site. Each of these bullets measures .410 inches in diameter which makes it perfect for custom handloads in .41 Remington Magnum. 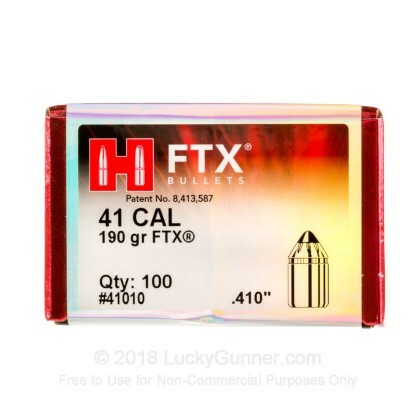 With a weight of 190 grains, this projectile sits in the middle of the caliber's scale which allows for versatile load choice whether for light recoil or maximized muzzle velocity. 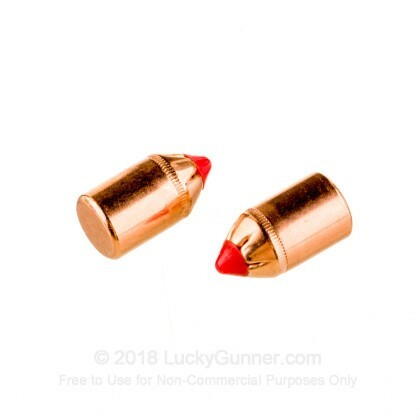 Hornady equips the bullet with a polymer windshield which tapers to the bullet's copper jacket in order to resist in-flight drag and optimize accuracy. A toothed cannelure makes for simple crimping and ensures a secure position throughout recoil in order to preserve precision as well as dependable ignition. Upon impact with a target, the FTX's tip will initiate wide expansion which is countered by the bullet's InterLock ring which secures the copper jacket to the dense copper base. As a result, the round can be expected to penetrate through thick shoulder bones and ribs before expending its energy in the most sensitive vital areas in order to yield a quick and humane drop. 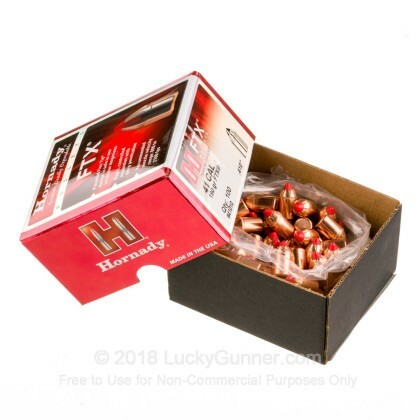 Hornady has been in business since 1949 and is so highly praised for their unique projectile designs that other big-name companies often use them for finished hunting and duty loads.